I’ve already done three residential schools with the OU [SXR103, SXR260 and SXR 208], each one better than the last, so this one had a lot to live up to! This time I didn’t have to travel far, it was only 2 hours north of me in Perthshire, near Pitlochry in a field centre in Kindrogan Wood. 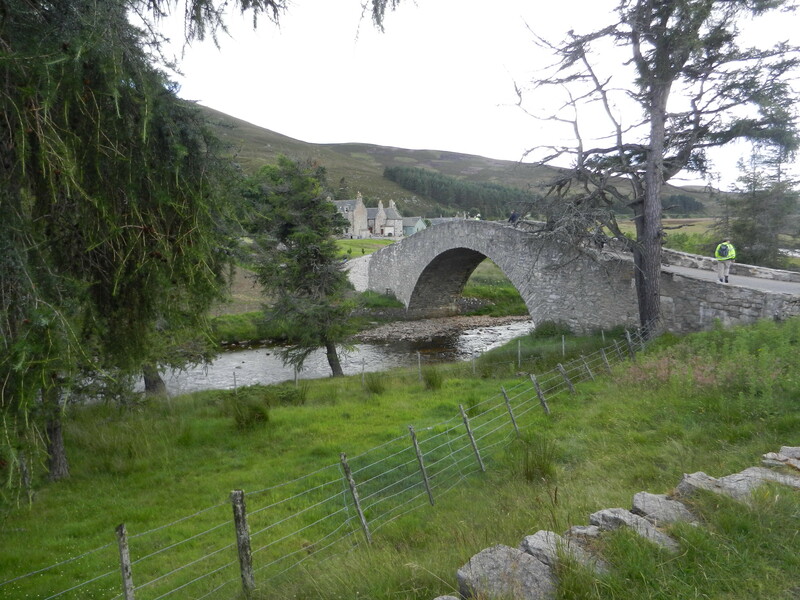 It was a fantastic place – a conservation ‘eco-centre’, with red squirrels, pine martins and Scottish wildcats amongst the wildlife in the wood. Each day we set out on the bus to a different location in order to study the geology and hopefully learn something about deformation and metamorphism. 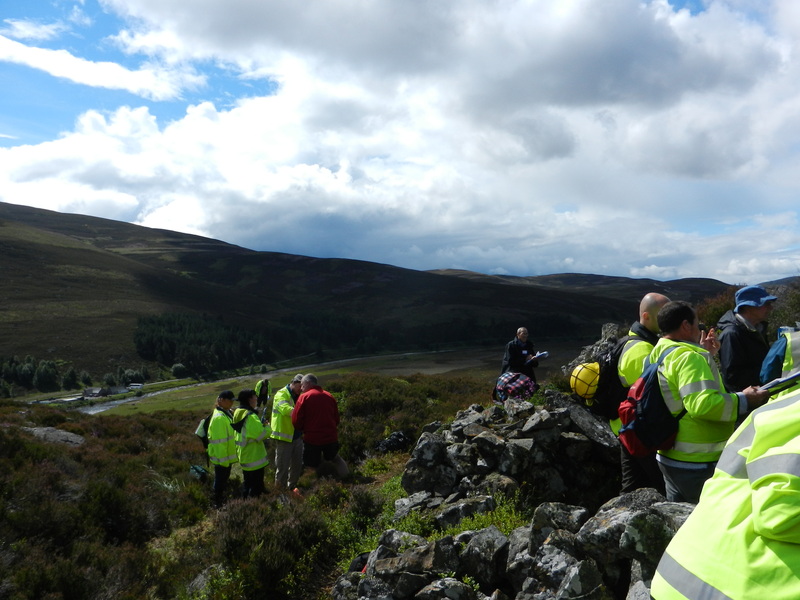 On the first day, Sunday, we went north of Lochnagar to Glen Gairn to have a look at a granite pluton. My lovely room-mate Emma in the centre [young lady in the aquamarine jumper] studying her notes. I wish I could tell you something highly embarrassing about her, but she was a really nice girl! We stopped here to have lunch – at the roof of the pluton. Someone previously had built up this thick, short little rounded wall, with a gap for a doorway in, up against the rock face, so four of us camped inside and ate sandwiches. We climbed up to the roof of the granite pluton to find the contact with the country rock, but hunger got the better of us – so we broke for some lunch. 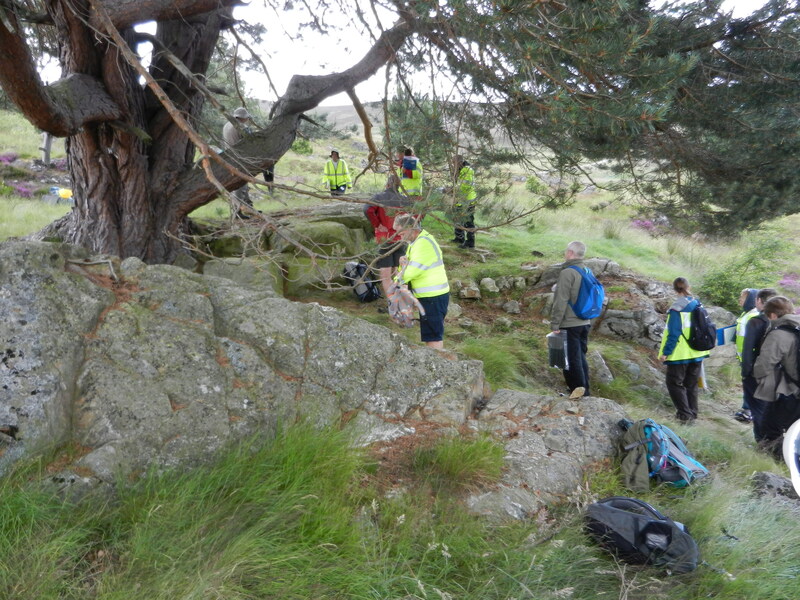 We found a little stone circular wall built up to waist height against the rock, some smart fellows had previously built themselves a shelter. We made use of this for lunch, camping out inside to have sandwiches and crisps. Looking down on Glen Gairn from the top of the hill. 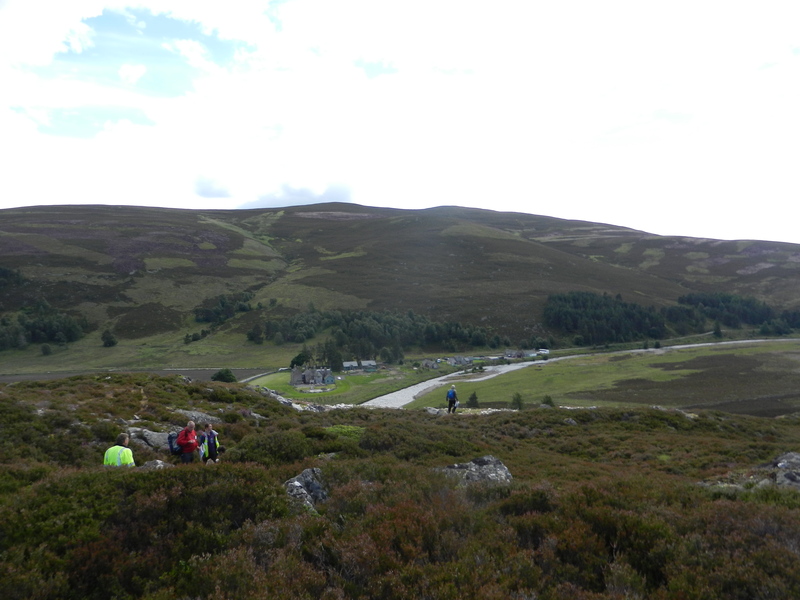 Stood above the sandwich spot, looking down on Glen Gairn and the first two locations. We were lucky to get such great weather all week – with rain only coming down heavily the day we spent mostly indoors! A pegmatite within the granite composed almost completely of quartz (>90%), with some altered mica making up the rest. 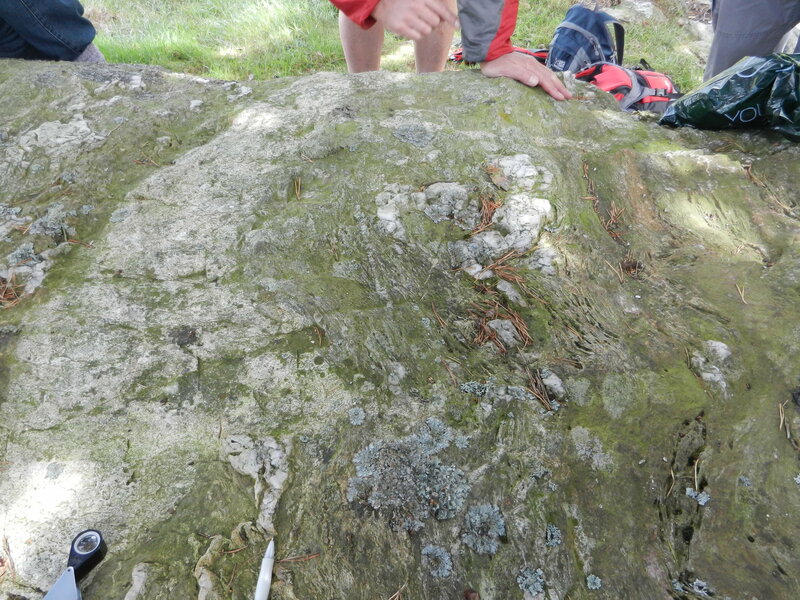 A pegmatite within the granite pluton. A pegmatite is an intrusive igneous rock with crystals > 2.5 cm in size, with a granitic composition. This was a very old Scots Pine tree… although I didn’t note the age down in my field notebook so your guess is as good as mine. 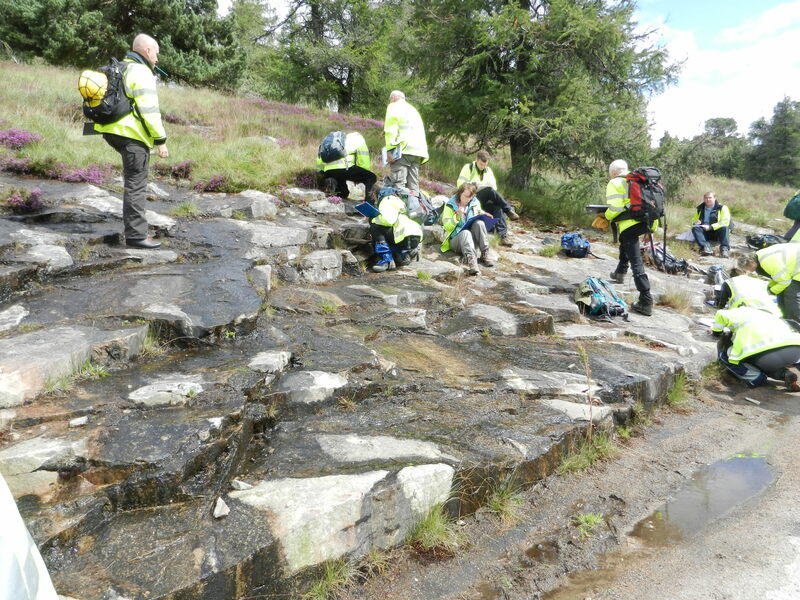 A granite dyke intrudes dalradian metasediments. The country rock is clearly folded, while the much paler intrusion of granite running through the whole width intrudes post-deformation. Some apothesys (a little vein of granite running off from the big main chunk) visible towards the top right near the hands. This is a great little bit of structural geology. 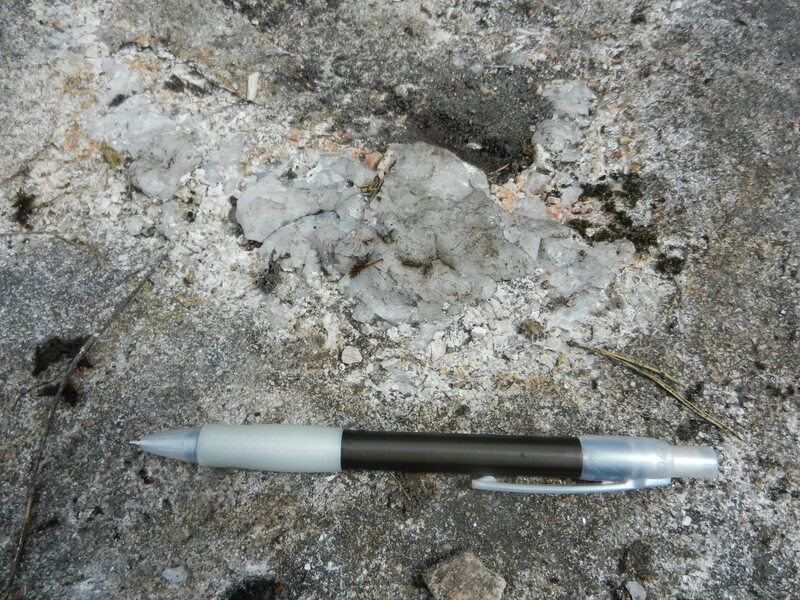 The country rock and the small quartz intrusions have been folded by some deformation event, however the pale granite intrusion that runs top to bottom along the left has not been folded, so it must have been intruded after the deformation event which caused the folds in the country rock. 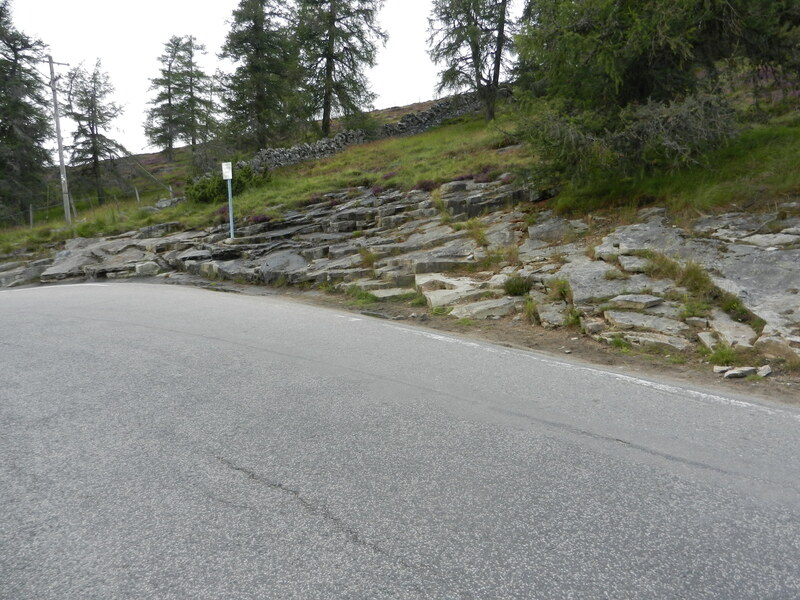 There is further evidence that the dyke is post-deformation in the apothesys – the smaller vein of granite running off perpendicular to the main one – to the top right, which cuts across the folds in the country rock, rather than being folded itself. I’ll update with the pictures from the rest of the trip later, currently looking into some new walks to do with the family in the local area.